This species forms a dense, small to medium size (10 to 12 inches high by 32 inches wide) mound of heart-shaped, dark green foliage. The leaves are lightly wavy, smooth textured and have average substance with purple dotted petioles. Clusters of medium purple flowers with purple anthers bloom on this species in July followed by viable seeds. The name means "ornamental hair-piece" because the flowers resemble a traditional hairpin worn by Japanese women. 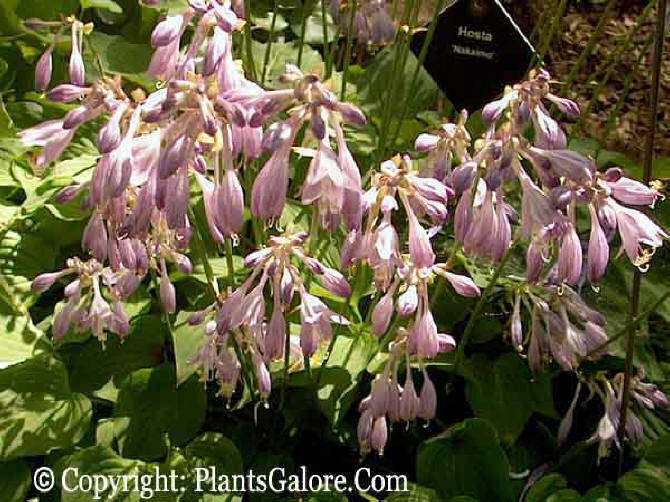 According to The Hostapedia by Mark Zilis (2009), "...such prominent hybridizers and collectors as Eunice V. Fisher, Robert Savory of Savory's Gardens in Minnesota, Eldren Minks, Maxine Armstrong, and Minnie Klopping selected seedlings out of H. nakaiana and introduced them as new cultivars." 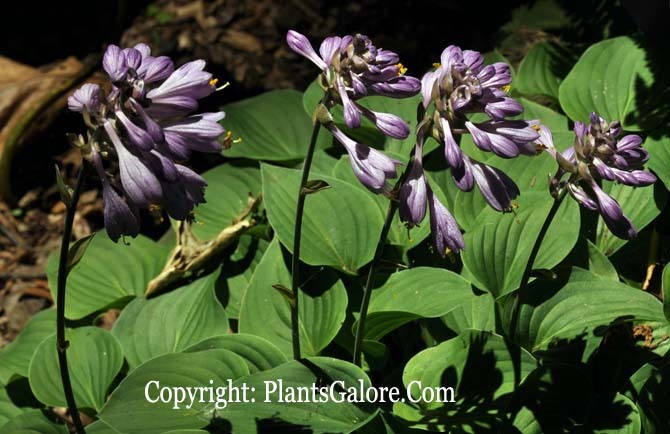 It is a native to Korea and later naturalized in Japan that has been used in hybridizing many current hostas. According to The Hostapedia by Mark Zilis (2009), this species has been known as H. 'Burke's Dwarf', H. 'Krossa E6', H. 'Bell's Baby' and H. nakaimo minor in the past. 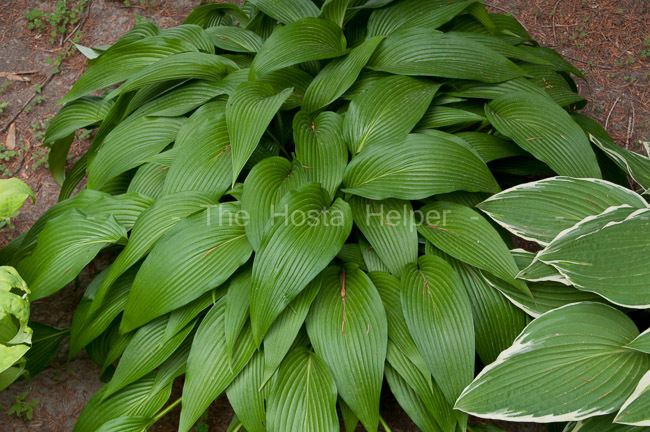 The New Encyclopedia of Hostas by Diana Grenfell (2009) states: "Very floriferous, producing abundant seed from which has emanated some very worthy hybrids. Scapes are noticeably ridged." An article by Robert Savory in The Hosta Journal (1985 Vol. 16) states that, "H. 'Golden Tiara' appeared as a result of our propagation experiments using H. nakaiana seedlings in the 1970's. We wanted to increase the number of shoots of seedling plants of H. nakaiana so we could hasten our crown-cutting propagation to meet the heavy demand for them. We treated 750 H. nakaiana seedlings with a mixture of hormones and vitamins in order to "break" more dormant eyes and to possibly stimulate mutations in these highly desirable small-leaved hostas...H. 'Golden Tiara' was one of several induced sports that appeared in this group."